The opponent card and hand get in his or her deck and they snuffle deck, opponent draw 3 new cards. Comments : Shrek is the one who saved Fiona from a dragon that marries Donkey. 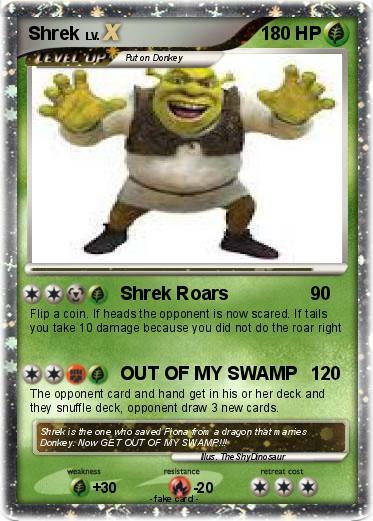 Now GET OUT OF MY SWAMP!! !